Trade Deadline hysteria is heating up. 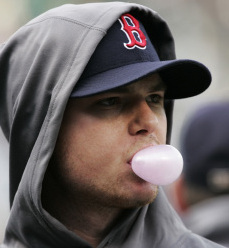 Jon Lester was scratched from his next start and everyone is panicking. I give my latest thoughts on potential landing spots for the big trade chips less than 48 hours before the trade deadline passes. It is a waiver free episode of The Sully Baseball Daily Podcast. Cole Hamels, Brett Gardner, Alex Cobb, Matt Kemp, J.P. Arencibia, Scott Feldman, Freddie Freeman, Stephen Strasburg and Homer Bailey all added to their totals for Who Owns Baseball? Posted on July 30, 2014, in 'SullyMetrics', MLB Podcast Network and tagged boston red sox, cole hamels, david price, jon lester, los angeles dodgers, Paul Francis Sullivan, philadelphia phillies, Sully baseball daily podcast. Bookmark the permalink. Leave a comment.